This is a guest post from Toofame – and a huge thank you to them for passing this on to me. 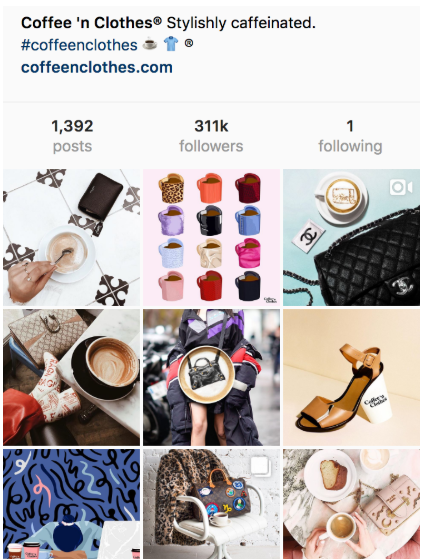 It’s a super-helpful step by step guide to growing an Instagram following, and if that’s something you are currently struggling with you are going to find this guide extremely useful. Enjoy! 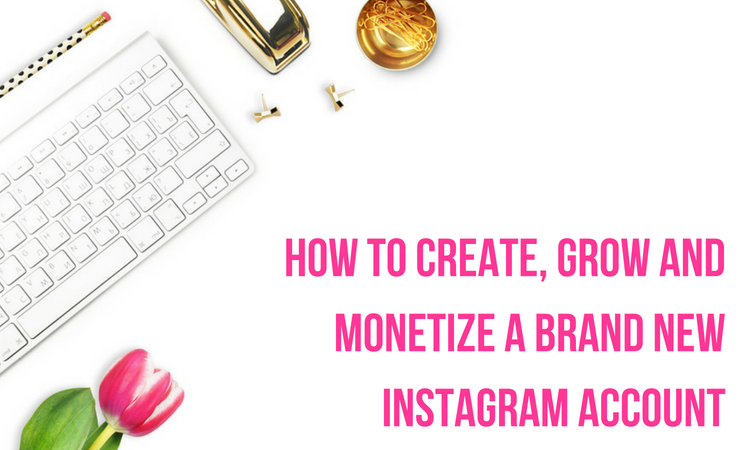 In this guide, we’ll show you, step by step, how you can make money on Instagram by creating, growing and finally monetizing your Instagram accounts. 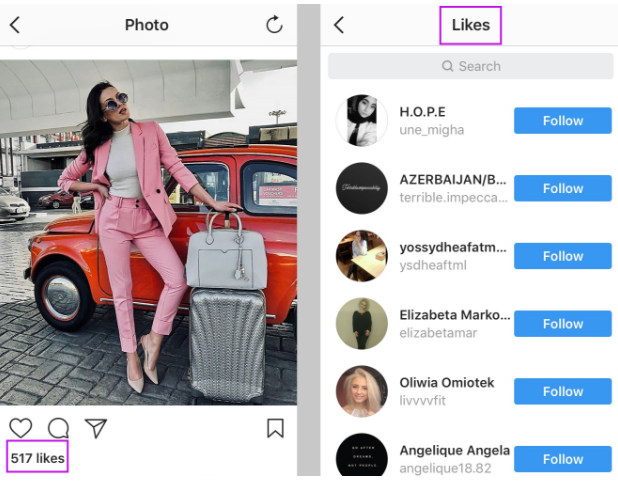 So, if you want to learn how to build your Instagram accounts properly, avoid being banned and earn money out of it, you’ll love this guide. This is a contributed post and also contains affiliate links. Please refer to my disclosure for more information. No followers – no attention and no engagement. Right? These are the 2 main mistakes people do when it comes to getting followers. Mistake 1: If you resort to buying fake followers, you’ll get little to no engagement. Mistake 2: If you’re not getting the right people following you, you won’t get the attention you need and you won’t be able to monetize well. Following and unfollowing is still one of the most practical ways to build an account with targeted followers. Most people are excited to follow back, especially if you have a good looking profile. Don’t expect a high follow back ratio if all you have is a default avatar and a CPA link in your bio! First of all, put some effort into creating a visually attractive profile to see the benefits of this method. Now, who should you follow? If you’re going to spend time doing the follow/unfollow method, make sure the people you’re attracting are targeted. For example, following people who follow large accounts in your niche is an excellent strategy to build up a targeted audience. Another set of people you should follow are individuals who like posts from large accounts in your niche. Since they already like similar content, there’s a good chance they’ll follow you back when they see your profile. How often should you follow? If you’re into Instagram for the long-term benefits, then slow and steady is your best option. However, you can also set up a few short-term accounts that you can use to test limits and different strategies. When starting a new account, keep your following ratios conservative. The first few days you should follow between 5 – 15 people at the max. The more spread out your following schedule is, the more natural your account will look. Use this period to post some pictures, fill out your bio and put a niche related profile picture. As your account begins to age, you can follow more and more people. It’s safe for a new account to slowly increase to following 20, 30, 40 and eventually more than 50 a day. After warming up your account for a week or two, you can speed up the process. Make sure you maintain a steady amount of posting, liking and commenting on other pictures to make your account appear as natural as possible. Any changes you make to your account behavior should be done gradually. Don’t suddenly jump from following 20 to 100 people a day just because your account has a little age to it now. Gradual increases in follows with random numbers are your best bet for staying under the radar. With an account that’s 1- 2 weeks old, it should be safe to move up to follow more than 50 a day. You should slowly increase the number of people you follow by 5 – 10 people each day. In our experience, you can safely follow 60 people an hour with a truly aged account. Once you get to this point, your account will be at least a few months old, and you should already have a few thousand followers. When should I start unfollowing? Unfollowing can be a tricky task but has immense value when done right. People are more likely to follow your account when you have a higher follower to following ratio. Because following fewer people establishes your account as an authority and makes it easier for you to leverage that reputation. Number 1 mistake that most new marketers do is: unfollowing too early. You should wait until you’re following at least 5000 ~ 7500 people before you start unfollowing. And you also need to adjust your following schedule, so you’re not following and unfollowing people the same day. You can control this best if you follow/unfollow manually, or by using software that has scheduling features. Instagram allows you to follow a maximum of 7500 people in total. Pending requests from accounts on private also count as your total following number. You may want to consider ignoring private accounts since pending requests can add up to your total number quickly. Can I follow and unfollow at the same time? This is another mistake you need to stay far away from. Remember your goal is to make your account look as natural as possible, following and unfollow at the same time definitely isn’t normal behavior for an account. You can try things like keeping following and unfollowing for separate days or doing it manually, so you only unfollow certain people. Shoutoutpost is a useful website for building up your new accounts because it connects you with other Instagram users to exchange shoutouts. You just need to invest your time looking for people to exchange with. If done right, you can even find partners willing to work together in the long term. Before using this site, you should have at minimum 2000 followers. If you only have a couple of hundred followers, it’ll be hard to grow your account on Shoutoutpost. Shoutoutpost works by curating a list of all their users for you to browse through. You get basic stats such as the number of followers, and most recent posts. To save time, you can execute searches by niche. Once you find an account you like, send them a Trade Request. If they accept it in the next 48 hours, you’ll get a request from the other person that is looking for a shoutout as well. Shoutoutpost is of mutual benefit to both parties and is a great way to supplement your following/unfollowing strategy. If you buy shoutouts properly, it can be a very lucrative way to get engagement on your posts and also get new followers. But, if you don’t closely plan and research your shoutouts, you can very easily waste your investment. It’s imperative you double and triple check that you’re only buying shoutouts from high-quality accounts. You should always go through accounts’ followers, check out their previous posts and the type of comments they have. You’re looking for accounts with real pictures, real user interaction such as tagging friends in interesting posts and an overall sense of a real community on the page. You should also study the potential accounts in real time. Check how many likes they get per post or views per video. If an account has 80k followers, but they’re only getting 100 – 200 likes per post, there’s a good chance they have a lot of fake or inactive followers. Another option for monetizing your account faster is buying an already established account with followers. This could save you a lot of time invested in slow growing because these Instagram accounts are ready for you to continue growing them and start earning money. Even though this can be a great investment and an easier starting point you need to be careful. Our customers, at TooFame, before buying an account are mostly concerned if the followers of our accounts are real and targeted and if our posts get the engagement that is in accordance with the number of followers. One of the best reassurance we have is that we manually handpick and approve accounts we sell and we can guarantee their quality. So, whoever you choose to buy an account from, our best advice is to thoroughly research accounts you want to buy, people or companies you’re buying from and also do some real time testing of accounts. Instagram isn’t like other social networks where the amount of posts you make is directly related to the amount of traffic you receive. On Instagram, quality is the most crucial factor in bringing attention to your account. And also as it is an incredibly visual network, you’ll want to use that by focusing on capturing attention. A few well-thought-out posts a day would get you a lot farther than putting out as much content as possible. Where do I find pictures to post? Ideal content to post on Instagram are videos and images that you’ve made for yourself. Graphic design skills are infinitely valuable on an Instagram journey. If you have the budget or skills, it’s definitely worth investing time in creating your own content. You can recreate popular pictures with your own concepts added, or you can create completely new images for your niche. It’s always a good idea to watermark or put your logo on the photos. Reposting pictures is another way to get quality content on your page, and people will appreciate it. When reposting, make sure you give credit to the original source in the description. Not crediting the source can make your page look bad and may bring unwanted attention from the owner or Instagram itself. How many posts should I do? Always think quality over quantity on Instagram. If you’re doing something like ten posts a day, it’s likely you’ll clog your followers’ feeds, which in turn can cause you to lose them. Posting 3 – 4 related and engaging videos and images a day is a good way to run your account. Depending on your niche, you may be able to get away with more posts. How do I know when to post? Your posting schedule will depend on the location of a majority of your audience and you should focus on posting during their peak time. Posts will get more engagement and hashtags will be more efficient. Hashtags are completely essential to generating engagement on Instagram because they’ll bring followers and likes on your posts. It’s well worth it to thoroughly research which hashtags work best. Look at the top accounts in your niche and take notes: which hashtags they use and how they use them. It’s usually safe to use around 10 – 15 hashtags per post. If you use more than that you’ll lower your chances of being in the top posts for each hashtag. Keep your hashtag use standard for your niche. Some people may be turned off if you use tons of hashtags without writing a description. Analyze hashtags you use to find the ones that are appropriate for the size of your account. Using competitive tags with over 10 million posts will get you a few likes in the first couple of minutes after posting, however, after that, your post will be quickly pushed down by the mass amount of other people posting with the same hashtag. Try looking for hashtags that have between 200k and 2 million posts. Your posts will be visible for a longer time, and you’ll get more interaction throughout the day. Engagement groups are perfect for enhancing your other Instagram tactics. If you find a quality group, you can get more out of your posts on the explore page with less effort. Make sure you’re only using recent posts (posted within 5 or 10 minutes) to be promoted in the engagement group. You’ll see that this works much better than trying to get an old post on the explore page. Try and join as many engagement groups as possible, but filter them for quality. If a group is focused on a different country or full of people with low-quality accounts, then it’s not good for you. Another key part of getting the most out of engagement groups is changing your content and hashtags until you find what works best for you. Posting the same type of content over and over will get you nowhere. Test new types of content and look for ways to capture attention. If you’re getting exposure from engagement groups but no revenue or followers, chances are something is wrong with your posts or your profile. The worst thing you can do in an engagement group is to take without giving back. Selling shoutouts is an easy way to monetize your aged accounts that you’ve worked hard to build up. You should only start promoting that you sell shoutouts once you get to 10 – 20k followers. The more followers you have, the more money you’ll be able to ask for each shoutout you do. Make sure you spread out your shoutouts over a period of time so your account doesn’t become cluttered. Filling your follower’s feed with shoutouts from other people can cause your engagement to drop and also annoy your followers. Your account should look as professional as possible in order to attract people to order from you. Most people are looking for posts with good engagement and a profile that looks well maintained and professional. If you post a picture advertising your shoutout service, you should delete it within a few hours. Accounts with lots of shoutout pictures appear spammy and don’t look appealing to potential buyers. Having a dedicated email that comes from your own domain will help your account look professional. At least, use a Gmail account when selling shoutouts. You can also promote your services on Fiverr and various Internet Marketing forums. What hours is your audience most active? How many likes/views do you get in the first hour? Do your posts get on the explore page? The prices you’ll be able to charge will depend on the client and your account activity. People that do their research will be willing to pay an amount the reflects the number of likes you get for each post. Other people will be quicker to buy and more impulsive. Just make sure you know the strengths of your account such as how fast you get likes and positive attributes about your following, to be able to negotiate a price easier. In order for you to make money with CPA, you need to have a large audience that routinely engages with your account. Wait until you have at least 10k followers to add your CPA link in the bio of your account. You need to make sure the niche of your followers and the niche of your CPA offer are closely related. People will be annoyed if they click on your bio link and get taken to something completely unrelated. Look for offers that are extremely specific to your niche to get a high conversion rate. Make sure you tell people to check out your bio in the description section of each post you make. 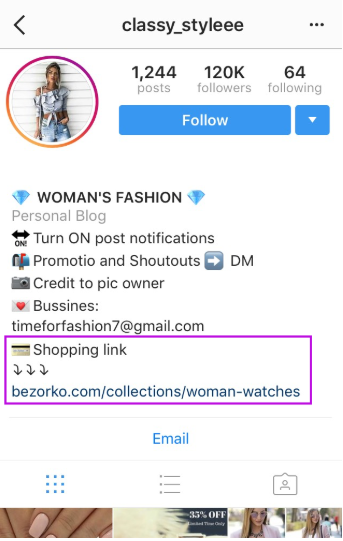 Your description on each post will act as your call to action area and also your bio should have a few lines about the benefits of clicking on the link. If you make your profile enticing enough, you should be able to easily convert CPA offers once you have a decently sized audience. Dedicating time to warm up your accounts is going to be key to your long-term success on Instagram. The more aged accounts you have, the more opportunities open up to you. Aged accounts are more flexible in what you can safely do with them. It might seem tedious, but you’ll be rewarded with accounts that can stay under the radar. Uncontrolled botting is a common reason new and even aged accounts get flagged. If you’re going to use software to manage your accounts, schedule your them to mimic human behavior. Even though you’ll be tempted to test the software and see how far you can go with an account, we recommend that you find a few throwaway accounts for that purpose. 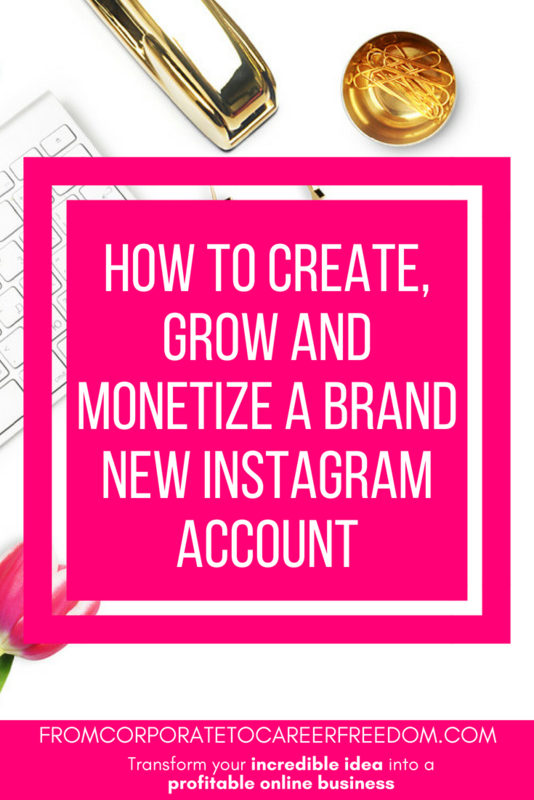 Building up an account quickly is not sustainable for consistently making money on Instagram. If you’re going to use commenting as part of your strategy, it’s important you only make high-quality comments and spread them out over a reasonable amount of time. Leaving the same comment over and over again or using spin text for your comments will eventually get you caught. Remember, the most important rule with everything you do is to make it look as human as possible, even if you’re scheduling it. 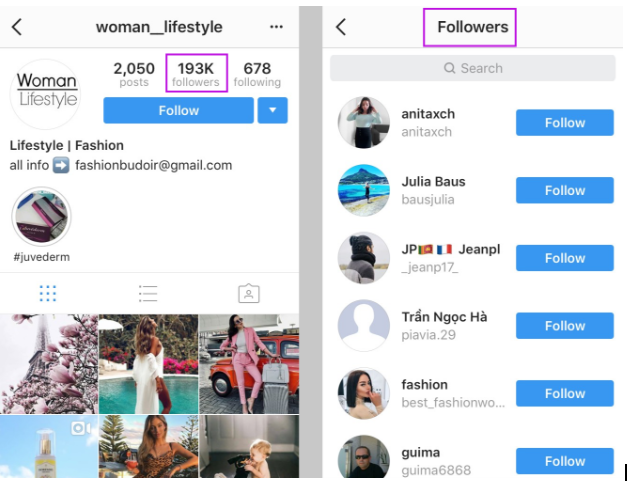 As mentioned earlier, controlling your following/unfollowing method is a key to staying under the radar on Instagram. All you need to do is spread out your following/unfollowing throughout the day and adjust it to the size of your account. Your account may be aged enough to follow 100 people a day, but if you follow all 100 within an hour, Instagram will get suspicious. During our time on Instagram, we’ve noticed that following 60 users an hour is the safest maximum with an aged account. Running your accounts with the goal of maintaining a long-term audience eventually allows you the freedom to target different areas of the broader niche that you’ve chosen. One risk of switching to a new sub-niche is that you may annoy some of your followers. Since you spent the time building a targeted audience, there are certain things that your audience will expect and if you suddenly change your content, they might lose their interest. To avoid this, you should execute a gradual change on your Instagram page. Post images/videos that mix dresses and necklaces and keep a steady flow of your normal content. Post more necklace content than dresses this week. Now you can only post necklaces. You may see a shift in your audience engagement. Go back and delete your older photos focused only on dresses. If you follow this gradual process, you’ll have the ability to move from selling one product to another. Picking a broad niche gives you the flexibility to monetize different products or services as you see fit. The use of software is an important part of maximizing your earnings while on Instagram. Once you find what hashtags, following systems and content work best for you, you can scale up your ability to make money. FollowLiker can manage social media accounts for Twitter, Instagram, Pinterest, and Tumblr. 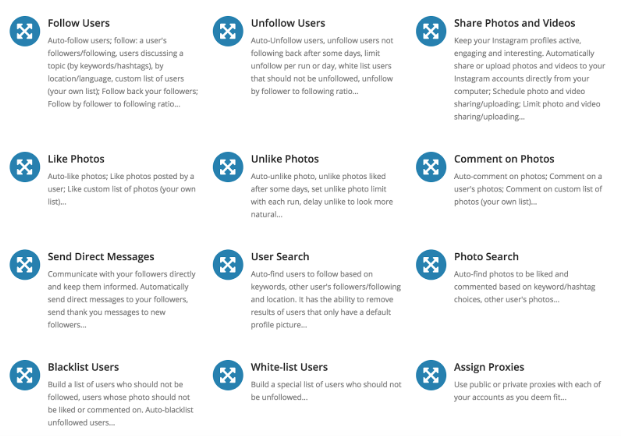 You can easily manage multiple accounts with it and schedule your posts, comments, and likes and also following/unfollowing. As we mentioned earlier, your following sources should be people who already interact with accounts in your niche. You can also set FollowLiker to scrape from specific keywords, which makes finding targeted people easier. You’ll find a ton of options that can help you make your account look as human as possible even though it’s managed by this software. Working with any social network can be a tedious process to set up all your accounts, scheduling posts and finding a process that works for you. Keep in mind it’s well worth it to take the extra time to run your accounts in a way where they’ll last. Thanks for reading this guide!